Mike's Best Blog Ever: "You Might End Up Dead" is my middle name. 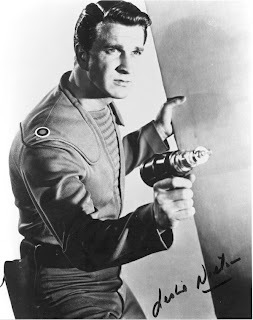 Charming, talented, and wickedly funny, Leslie Nielson appeared in over 100 movies, including my favourite film of 1956: Forbidden Planet. He was a man to admire, and he will be missed. Surely, he was a national treasure. And don't call him Shirley.